The Delhi and Gurgaon guest experience centers along with the Chandigarh after sales service facility will plant trees at the periphery of Sitamata Sanctuary in Rajasthan, the Mumbai guest experience center will plant trees in Nimbora and Amravati in the state of Maharashtra , with the support of Grow-Trees.com while the Bengaluru guest experience center and the Hyderabad, Kochi and Chennai after sales service facilities will plant trees at Toyota Kirloskar Motor’s manufacturing facility in Bidadi, Karnataka. “At Lexus, it is not just our cars that define us. It is also how our automobiles can shape a better tomorrow. We are dedicated to discover newer aspects of sustainability in order to maximize our contribution towards a cleaner and greener environment. We have ambitious environment goals globally and this green initiative in India is a special one as it also involves our guests in Lexus India’s pledge to a better future,” he added. Lexus’s belief in the hybrid technology featured in the cars can contribute positively. Lexus worldwide features a wider hybrid model selection than any other luxury automotive brand in the industry. The brand social responsibility project initiated by Lexus India in appreciation of Mother Earth further emphasizes the environmental benefits of driving a Lexus hybrid vehicle. 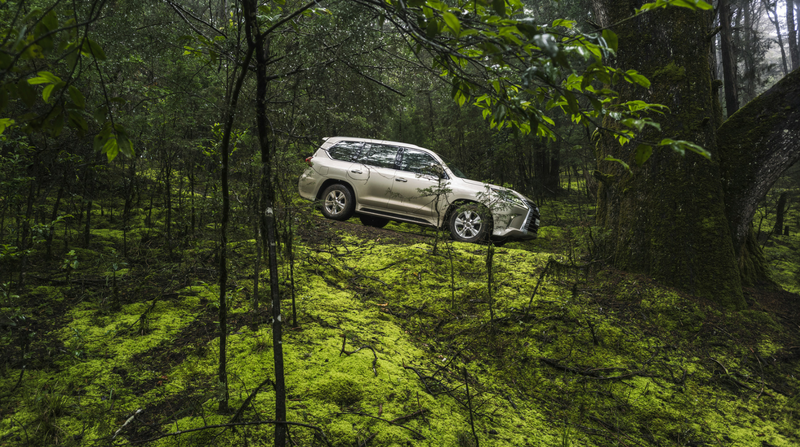 Lexus' environmental efforts have grown out of a genuine respect and concern for the Earth's environment. Guided by a clear vision of sustainable mobility, the brand works on a global scale to minimize the impact of its operations on the environment. Lexus’ passion for brave design, superior quality and exhilarating performance enables the luxury lifestyle brand to create amazing experiences for its customers. Lexus began its journey in 1989 with two luxury sedans and a commitment to pursue perfection. Since then, Lexus has developed its line-up to meet the needs of global luxury customers in more than 90 countries.